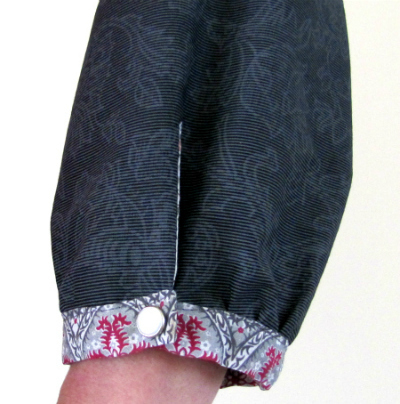 Many novice sewers quiver at the thought of having to add a sleeve placket. So here's a quick cheats version. One of my favourite jackets has this finish and it looks great. 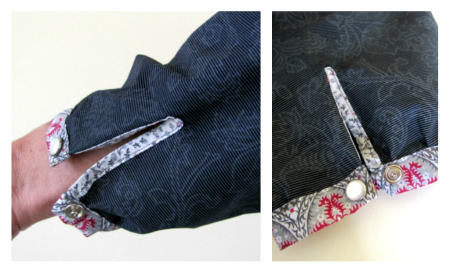 Fold your sleeve fabric piece in half. 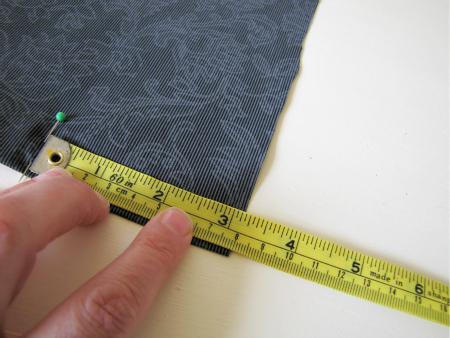 Measure and pin how deep you want your placket. Cut along the fold to your pin. Cut a strip of fabric either in the same of contrasting fabric. You don't want it too thick (2.5 - 3cm). Press fabric strip as if it were double folded bias. 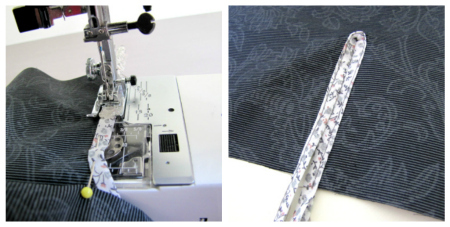 Pin your fabric strip onto the cut sleeve slit. The tricky part here is making sure the fabric strip catches the highest point of the cut slit. Take it slow here. I find it easier to take my foot off the pedal and hand wind the balance wheel to ensure it catches. Because my contrasting fabric edge strip is quite thin I didn't need to do this next step but if you find the top point is bulging a little. 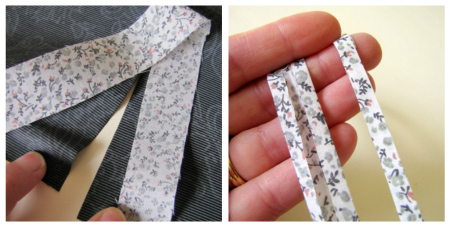 Turn your sleeve to the wrong side a sew diagonally at the top of the trim creating a v.
Trim the bottom of the fabric trim strip and add your cuff and closure. Love this - Thanks! I've recently been delving into the old patterns and had to do plackets on the sleeves of a little girl's dress and it was so convoluted. This is much smarter! Great tip thank you! I love bias binding, it is so handy. So cute, thanks for the easy tutorial!